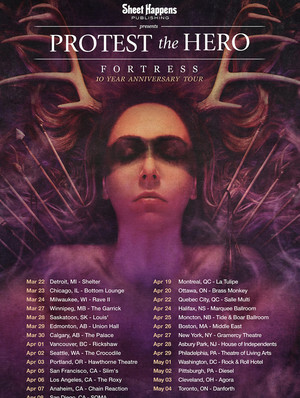 Protest the Hero head out on the Fortress Ten Year Anniversary tour! Why See Protest The Hero? Hailing from Whitby, Ontario this four-piece progressive rock band have been making tunes since 1999, although they first named themselves 'Happy Go Lucky'. The band's second full-length album 'Fortress' launched the band into the rock scene when it was released in 2008, now Protest the Hero are bringing the album that made them back into the light as they tour to celebrate its ten year anniversary! Formed of Rody, Tim, Luke and Mike Protest the Hero have carved a unique niche into North America's heavy metal genre. With an ardent and dedicated following Protest the Hero have grown year and after year with their fourth album Voalition reaching the No.3 spot on the US Hard Rock chart. Seen Protest The Hero? Loved it? Hated it? Sound good to you? Share this page on social media and let your friends know about Protest The Hero at Danforth Music Hall. Please note: All prices are listed in US Dollars (USD). The term Danforth Music Hall and/or Protest The Hero as well as all associated graphics, logos, and/or other trademarks, tradenames or copyrights are the property of the Danforth Music Hall and/or Protest The Hero and are used herein for factual descriptive purposes only. 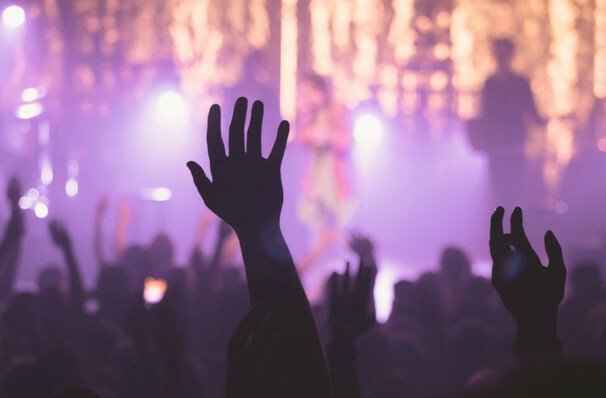 We are in no way associated with or authorized by the Danforth Music Hall and/or Protest The Hero and neither that entity nor any of its affiliates have licensed or endorsed us to sell tickets, goods and or services in conjunction with their events.